To be given away by PokerStars in the fourth and final $1 Million Freeroll, which is taking place today (December 1) at 14.04 ET. First prize won by Romanian poker player ‘Dannyz0r’ in the PokerStars Sunday Million who beat a field of 5,038 players to claim the largest payout from the $1,007,600 total prize pool. More than 100 players have qualified for a PokerStars Championship Bahamas package through the Spin & Go format so far. The special edition Spin & Go tournaments run through the weekend, drawing to a close on December 4. But as the call for winter sun draws nearer we've ramped up PokerStars Championship Bahamas satellites and will guarantee 10 packages, each worth $10,565, in a special qualifier this Sunday. Episode number of this week’s EPT Not Live podcast, which is now available to stream or download. This week Joe is in Vegas for the Global Poker League play-offs and final, and gives an insight into the closing chapter of the inaugural season of the Global Poker League. John Lindley from California aims to prove he knows more about ‘The Princess Bride’ than Joe in this week’s edition of ‘Superfan vs Stapes’. The number of Spin & Go tickets Team PokerStars Pro Daniel Negreanu has given away as part of a Twitter competition this week. These tickets allow players to be in with a chance to win a PokerStars Championship Bahamas package. The number of days left for players to deposit $15 or more into their Stars Account using the code ‘CLOCK16’ by 23:59 ET on December 4 to receive five free $1 Beat the Clock tournament tickets. Beat the Clock games are Zoom tournaments that last just five minutes, making for a fun and adrenaline-induced experience for players looking for rapid-fire poker action. It’s one week until the PokerStars European Poker Tour makes its last ever stop, its grand finale in Prague, one of the most popular destinations of the tour. The event will be held at the Hilton Prague Hotel and, starting with Eureka Prague, runs December 8-19. The 12-day Prague poker extravaganza will feature a record 100 tournaments. Pick up live coverage on PokerStars Blog and the EPTLive webcast. 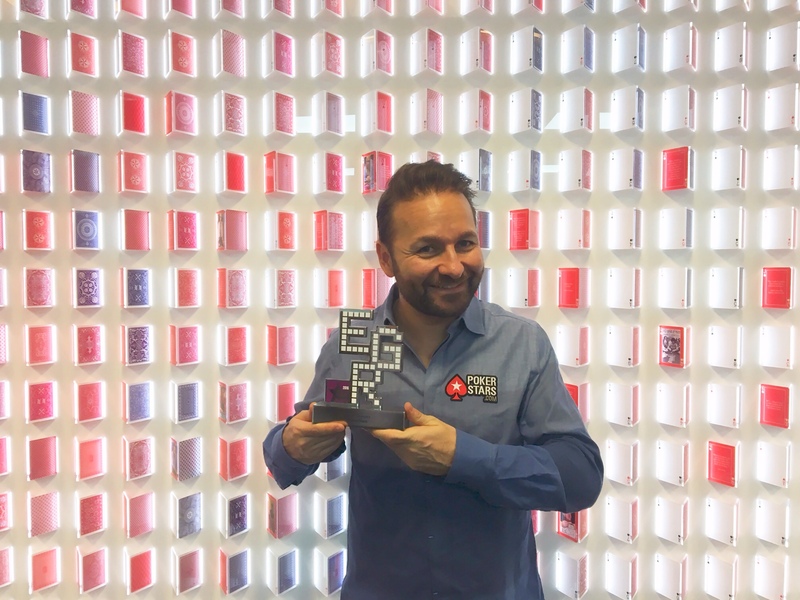 On Monday, PokerStars won the ‘Poker Operator of the Year’ award at the ‘EGR’ Operator Awards 2016 in London, making it three years in a row that the red spade has claimed the headline poker category. PokerStars and charity partner Right To Play recently visited Ghana to find out how the charity's efforts have helped transform children’s lives.